I love vintage shopping malls! I enjoy postcards and photos featuring them. I enjoy the retro design, and the details of how people lived in past times. I love websites like Malls of America and Sky City: Southern Retail Then and Now. These great blogs have photos and descriptions from shopping malls, including ones that are no longer around. 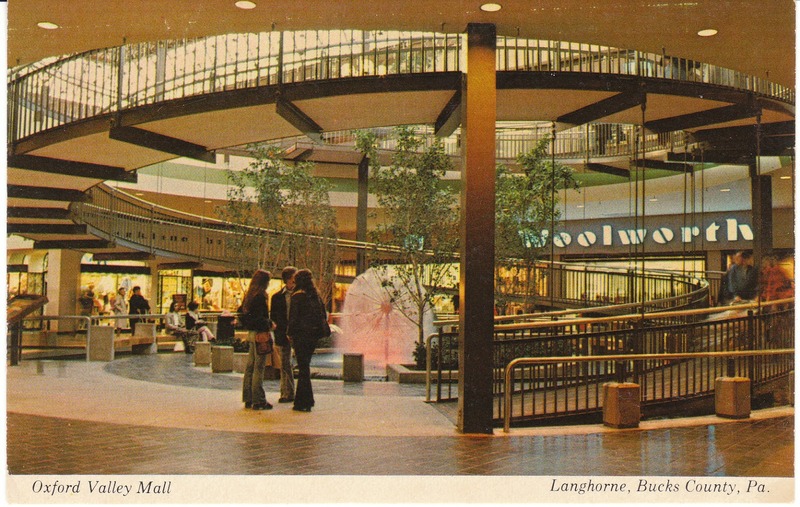 I always enjoy listing vintage postcards featuring shopping malls. I have a few in my shop, and would love to add more in the future. 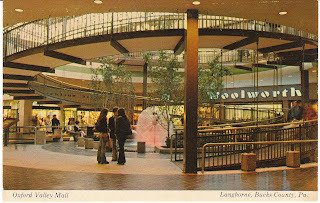 You'll find them here: vintage shopping mall postcards at Birdhouse Books. Pictured here: Oxford Valley Mall in Longhorne, Pennsylvania. Check out the Woolworth store (I miss Woolworth's!). Lots of fun!